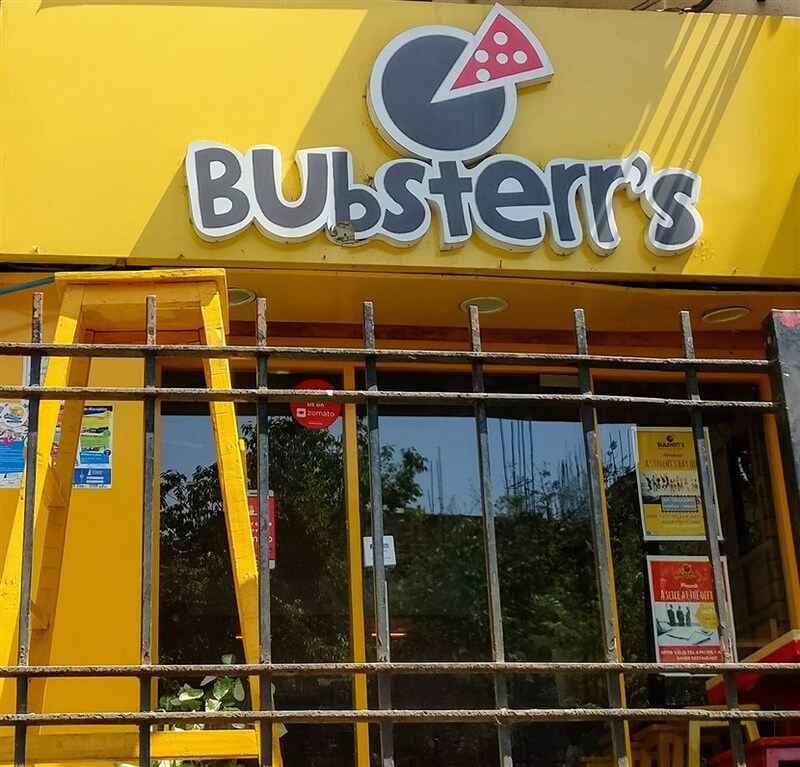 Vidhur Mehmi, Ridhiema Shahani and Nitesh Jagwani launched Bubsterr’s in May 2015. 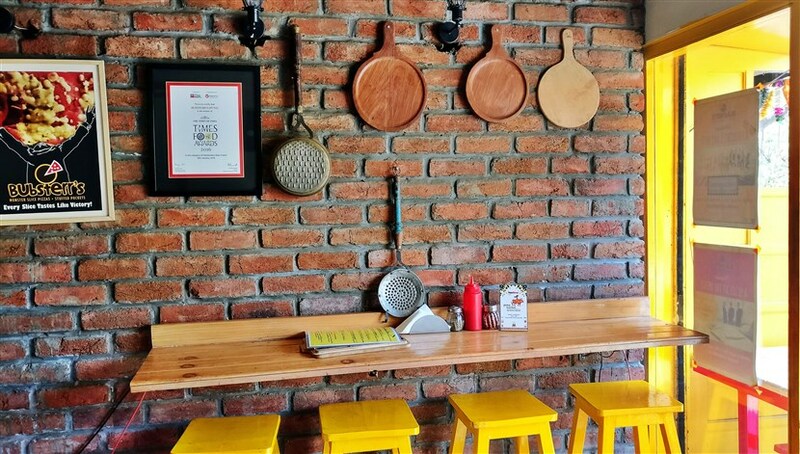 In 2016, barely a year into business they opened their second branch in Baner. 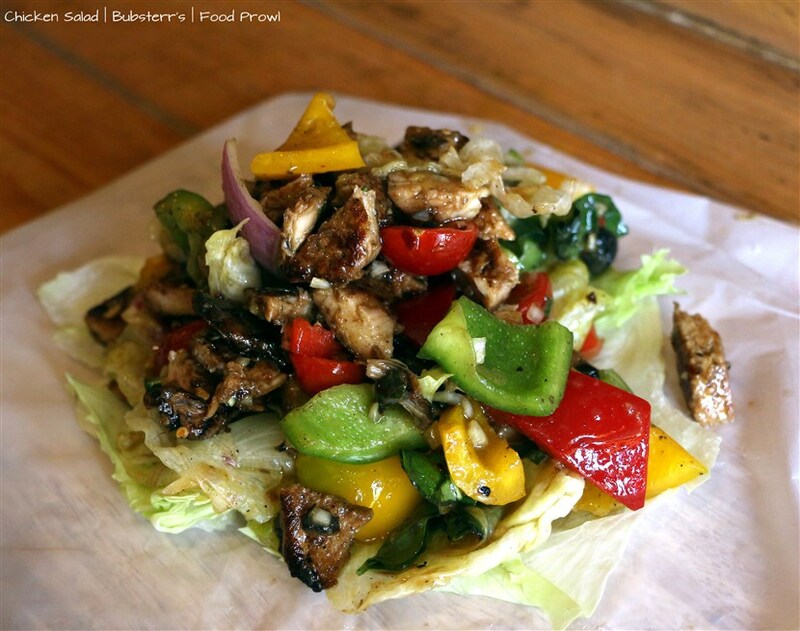 Bubsterr’s is a popular destination for Fast Food especially with the youngsters in Pune. 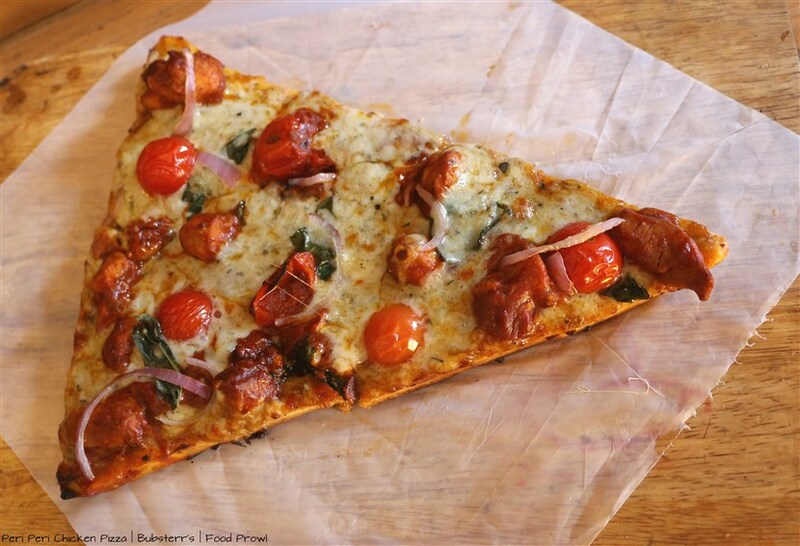 They always have served fantastic Pizzas, Burgers and Hot Dogs, both Chicken and Pork. 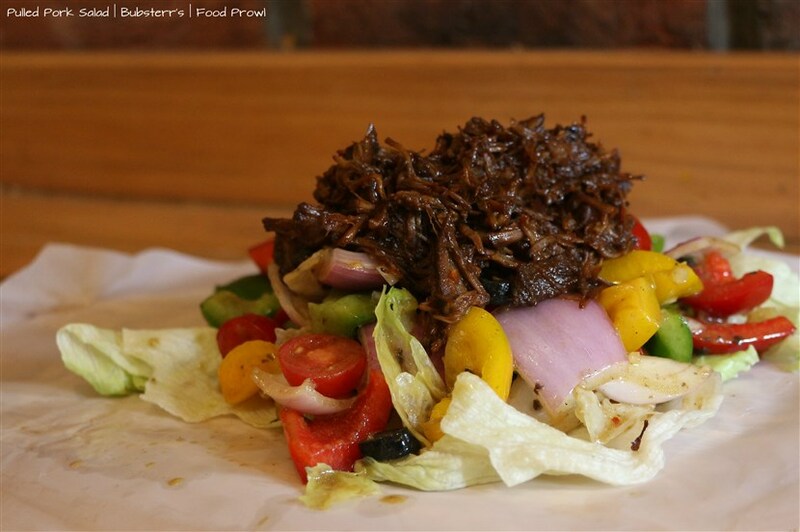 Recently, Bubsterr’s decided to extend its menu and rightly so, they added Appetizers, Salad and Dessert options apart from a host of new additions of Burgers and Pizzas. 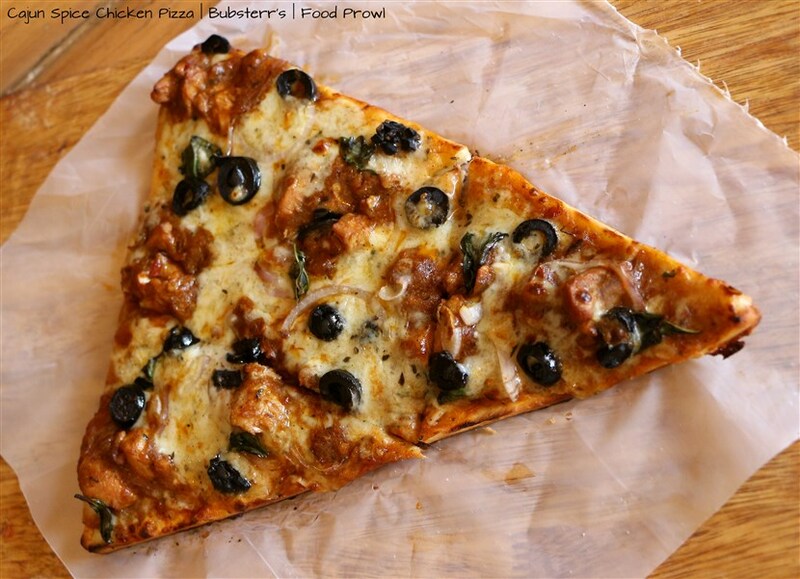 Food Prowl team was invited for a Food Tasting and it was sheer co-incidence that after having celebrated Food Prowl’s 50th Food Tasting Event in Baner in September 2016, we were again at Bubsterr’s for our 75th Food Tasting Event, this time at the Kalyani Nagar Branch. 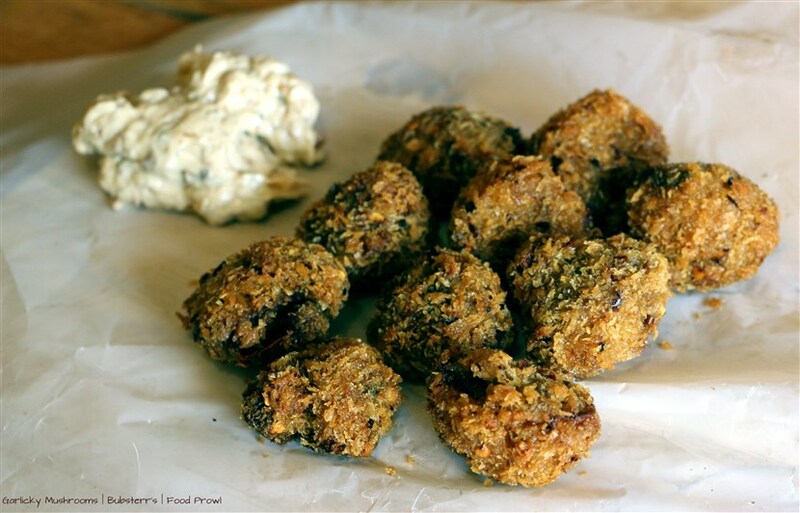 The Appetizers have various options – Chicken, Fish and Mushroom. 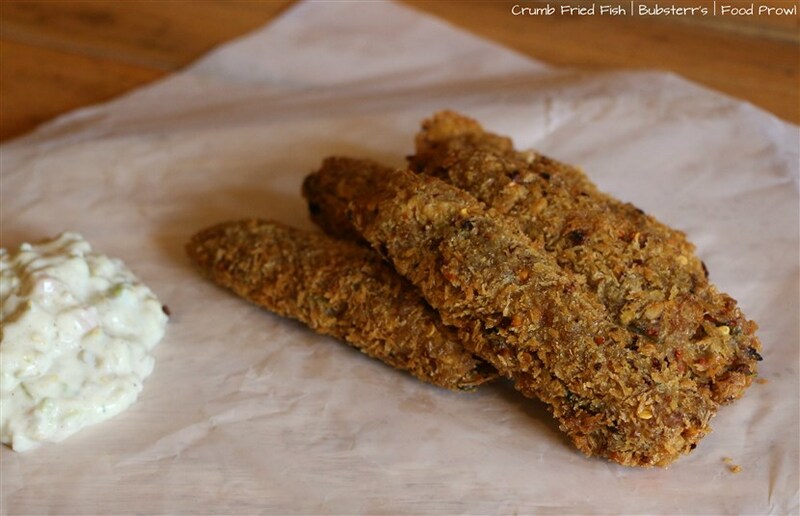 Fried Chicken Strips, Fish and Garlicky Mushrooms, all 3 have the same crumb batter used, and an awesome Garlic Mayo is served with Mushrooms and Chicken. Fish is served along with a tartar sauce. 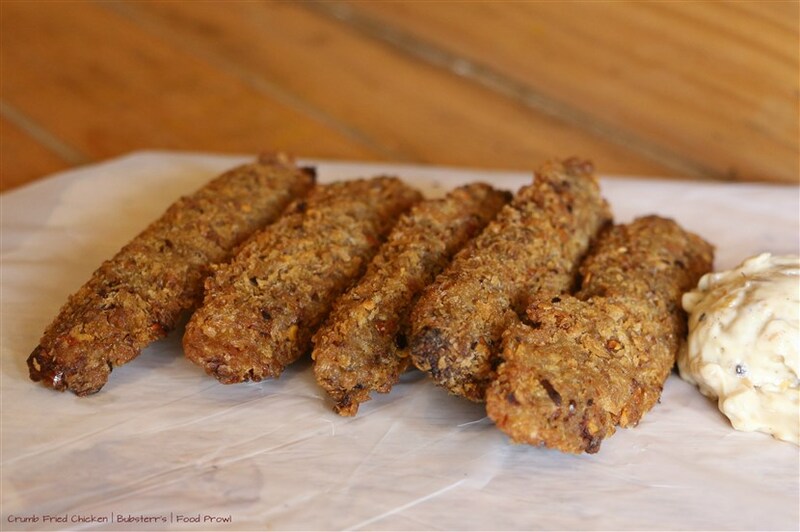 The crumb coating is really crisp and does not ooze excess oil. 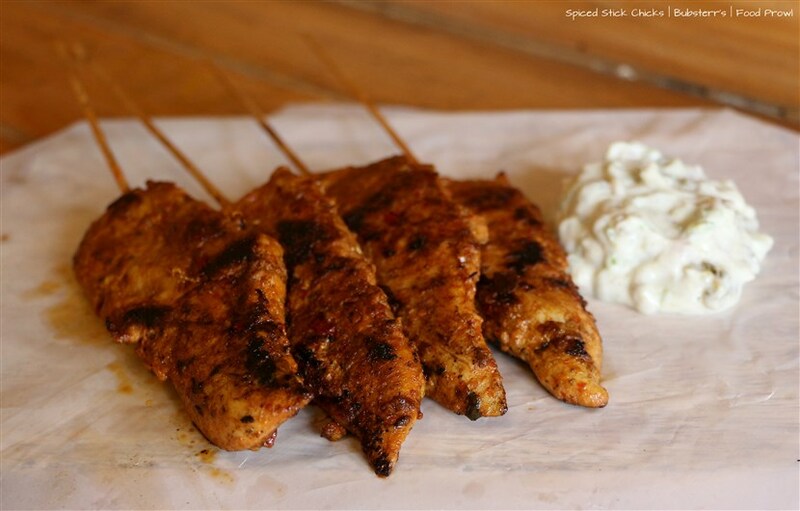 They also have introduced Spiced Chicken Sticks, 4 Skewers of juicy and spicy chicken that went well with Garlic Mayo. 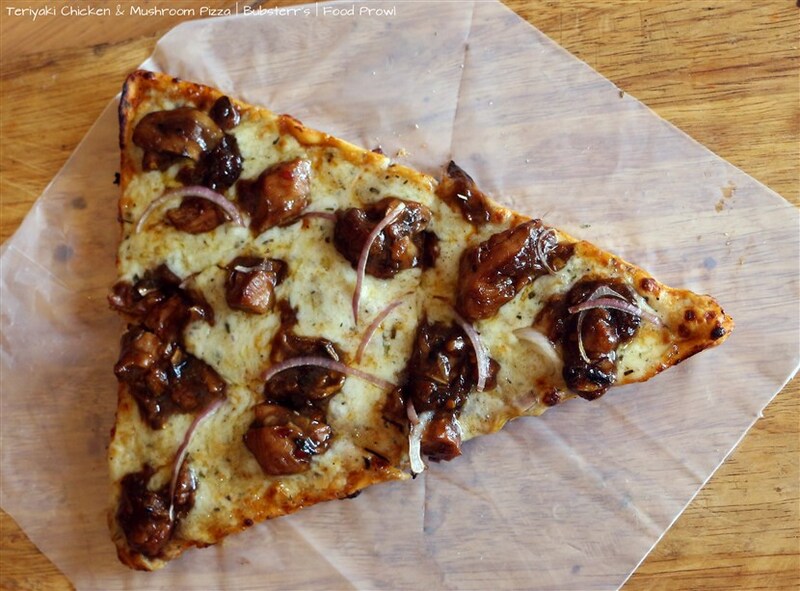 This will be a favorite for Chicken lovers. Vinaigrette Salad has Bell Peppers, Cherry Tomatoes and more, tossed in a tangy dressing. 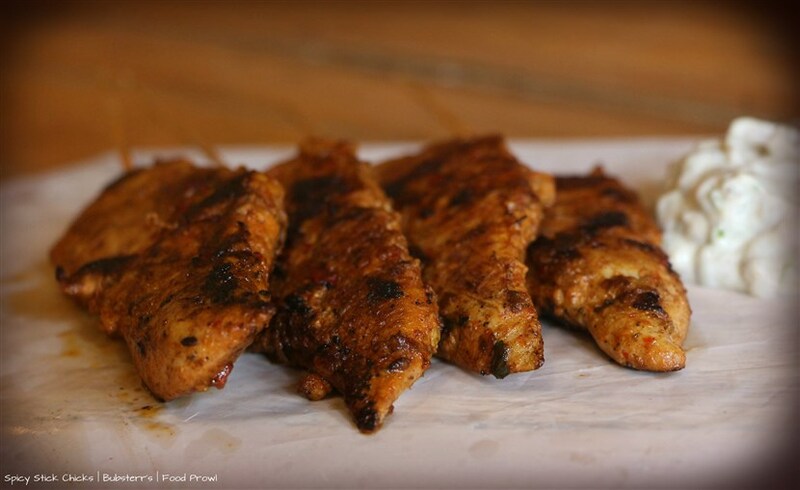 One can opt for Chicken and get tender bite size pieces of chicken added to the salad, or Pulled Pork cooked in homemade sauce. The salad was very fresh and exciting; the flavors worked well by themselves and complimented the Chicken or Pork inclusion as well. There are 4 new Burgers added as well; 2 Chicken, 1 Veg and 1 Fish. 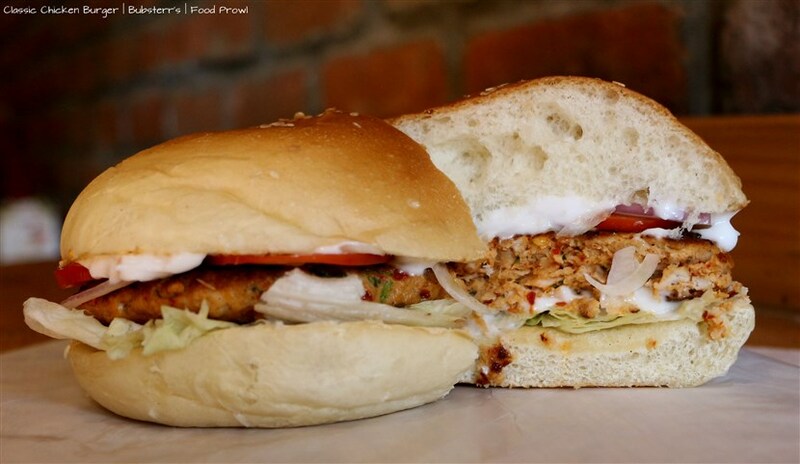 Fiery Chicken Burger was the best of all, it had a spiced chicken patty topped with Jalapenos and hot sauce, not excessively spicy that you would need to sip on a Shake or Beverage, but the right level that can be enjoyed with the entire burger. 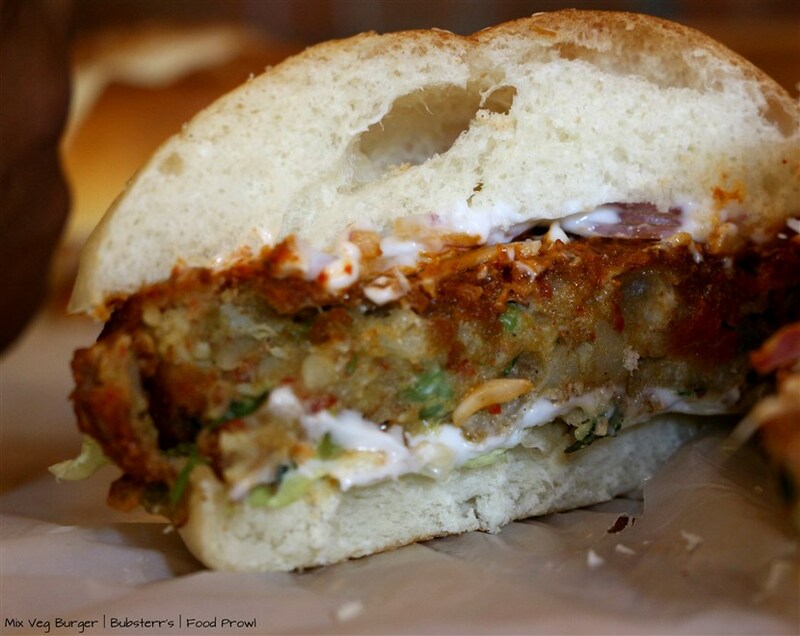 Crispy Fish Burger had batter fried fish with tartar sauce in between the bun making the texture very interesting. 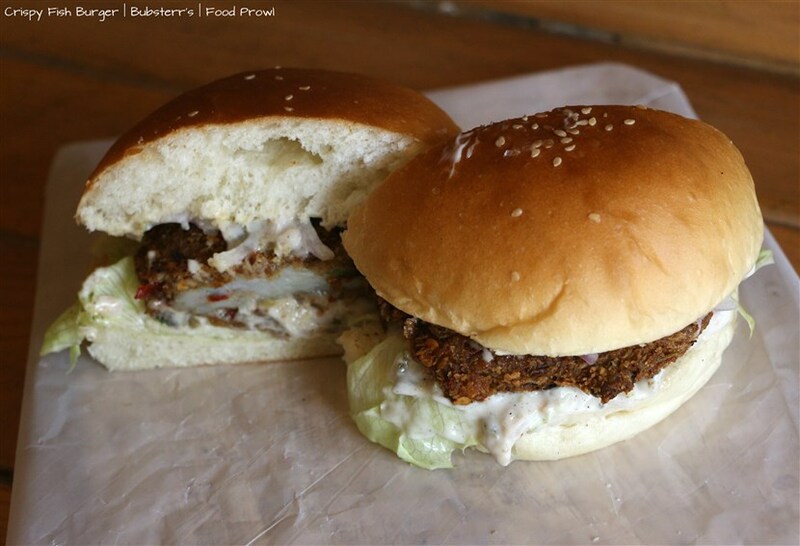 Mix Veg Burger had a thick veg patty with hot sauce, this is a good filling option for Vegetarians. Classic Chicken Burger has a minced chicken patty with tomatoes and onions, yeah a classic all the way for the nostalgia of times when burger options were limited. 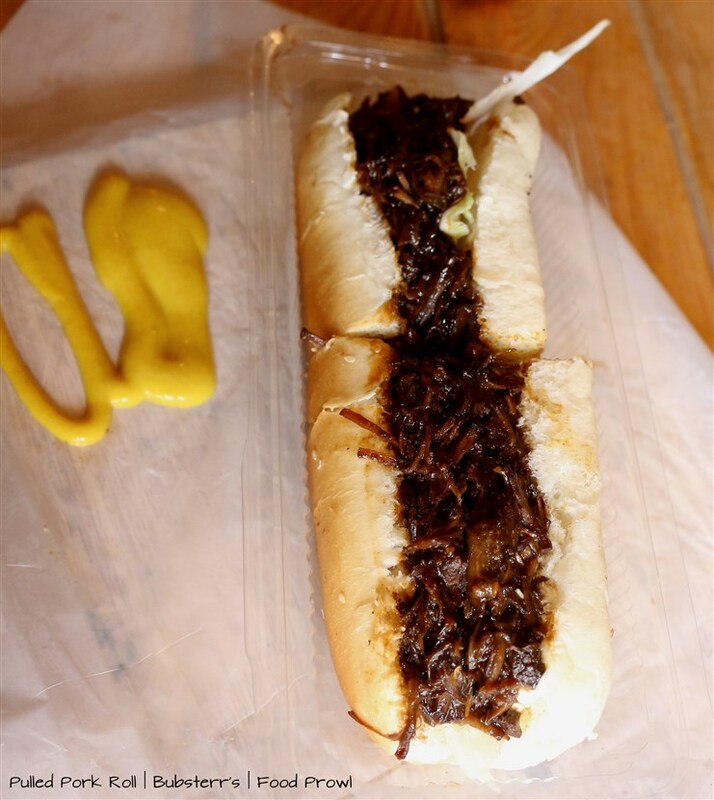 Pulled Pork Roll is a brilliant inclusion to the menu. Served in Hot Dog Bun with lots of pulled juicy pork added. A 100% oink oink moment. 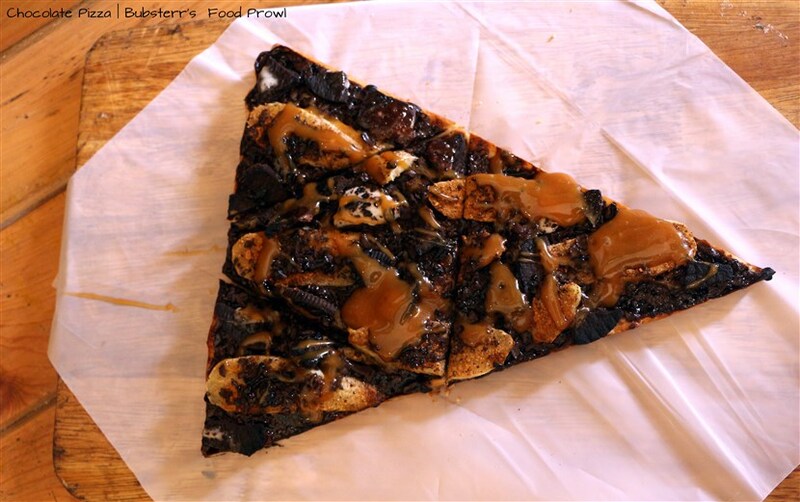 6 new Pizzas have made it to the menu – Cajun Spiced Chicken/Paneer, Teriyaki Chicken with Mushrooms, Peri Peri Chicken, Lemon Thyme Chicken with Grilled Broccoli and Bacon Bonanza. The Peri Peri and Teriyaki were absolute winners for everyone on the table (Keeping Bacon out of the race to avoid partiality). Spicy Peri Peri and the Cherry Tomatoes along with it balanced the spiciness very well and made the combination very good. 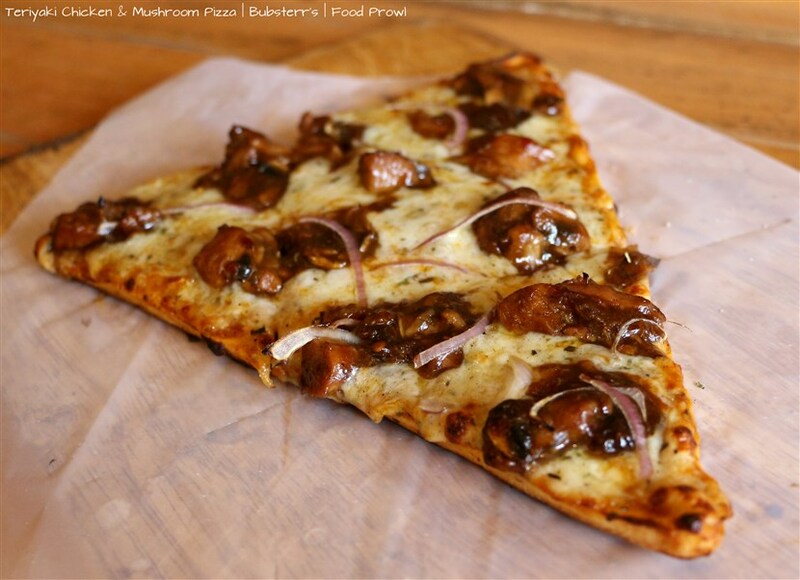 Teriyaki has the mild sweetness of the sauce and the texture variance from mushrooms, perfect. 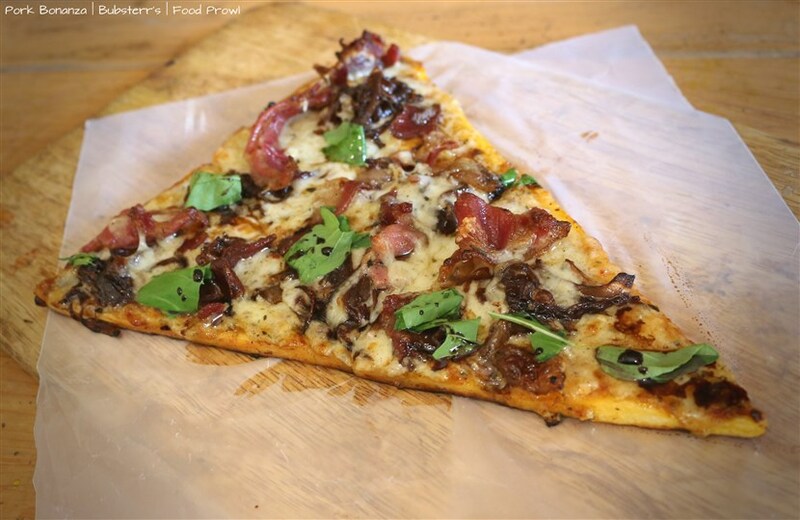 Now the Bacon Bonanza had to be a notch above everything, it was loaded with caramelized onions, bacon, rocket leaves and a balsamic glaze which added a lot of depth to the flavors of bacon and onions; it’s like a love affair. The Desserts gave the final knockout punch. 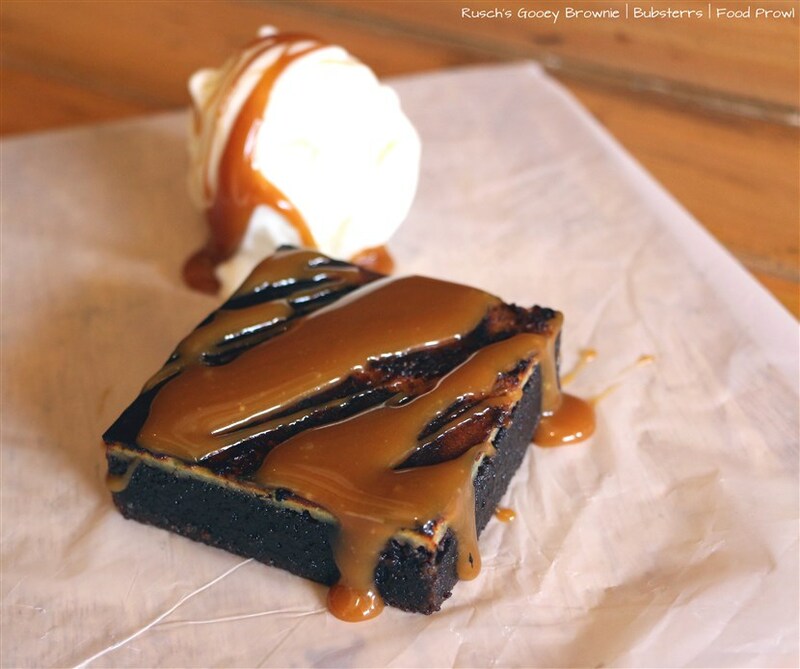 Rusch’s Gooey Brownie, made with cream cheese was very very moist and gooey indeed and equally chocolaty at the same time. 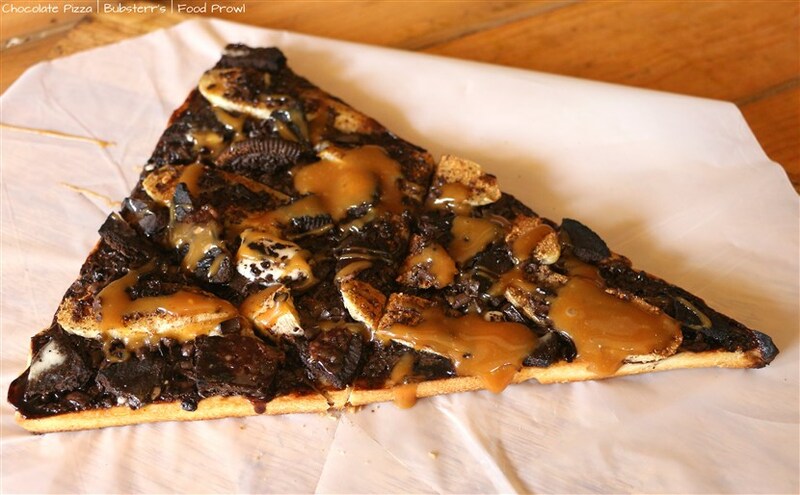 Chocolate Pizza, a pizza slice loaded with Chocolate Sauce, Cinnamon Banana, Oreo biscuits, Salted Caramel and more Melted Chocolate. 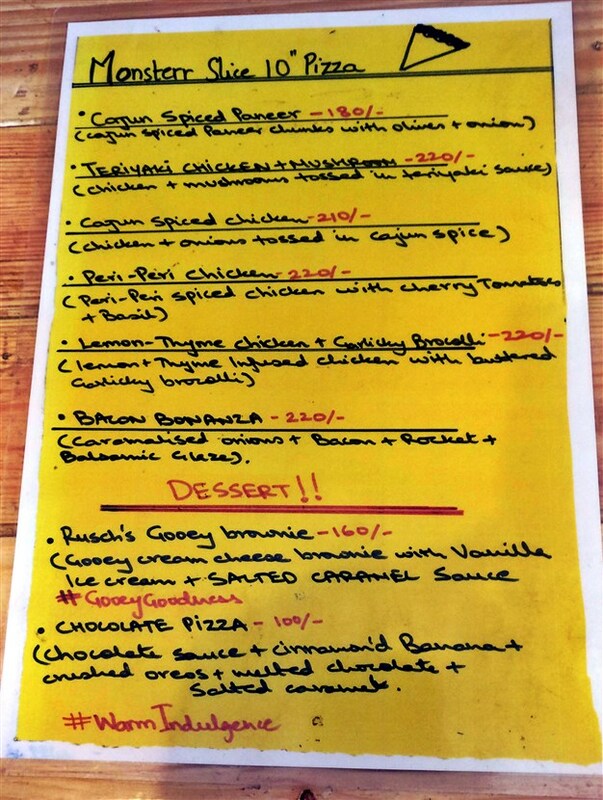 The entire new menu has been well thought off and the execution has been perfect. There wasn’t a foot put wrong. Exactly why Bubsterr’s is a class apart from the regular run of the mill Fast Food joint. They also have home delivery for anyone who feels lazy enough to drive down in the summer heat.